﻿ Best Price on Hotel Real Plaza in Antigua Guatemala + Reviews! 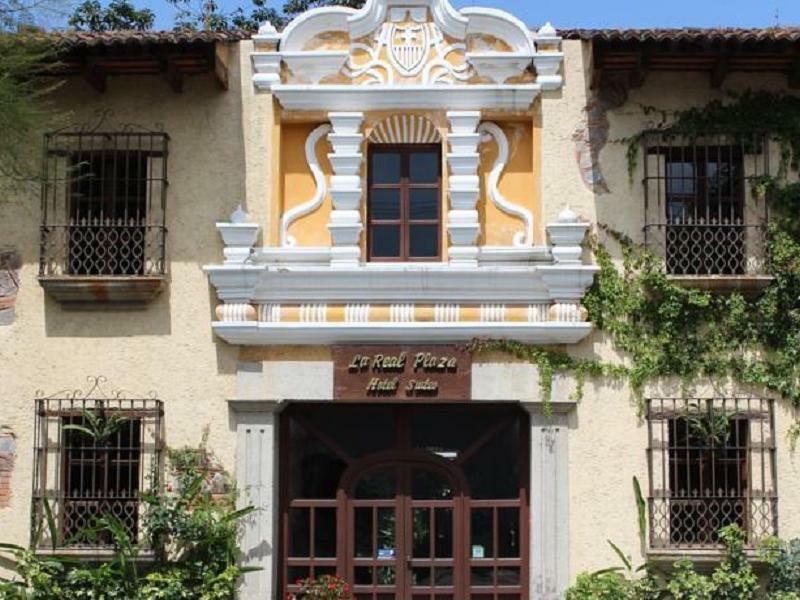 Featuring a terrace with swimming pool, an extensive garden and free Wi-Fi in all areas, Hotel Real Plaza is a 10 minute walk from the Antigua Central Park and from the cathedral. The rooms and suites offer rustic décor, safe, wardrobe and cable TV. Some of the accommodations may feature a fireplace and the suites have whirlpool bathtub. The bathrooms have a shower and toiletries. The on-site restaurant at this hotel serves regional cuisine, and also the guests will find a variety of food places within less than half a mile. The breakfast in included on the rate. Hotel Real Plaza is 440 yards from the Antigua Handcraft Market and half a mile from the Colonial-Art Museum. Guatemala Capital City and La Aurora International Airport are a 40 minute drive away. Breakfast for children is not included. Guests are required to show a photo ID and credit card upon check-in. Please note that all Special Requests are subject to availability and additional charges may apply. Payment before arrival by bank transfer is required. The property will contact you after you book to provide instructions.